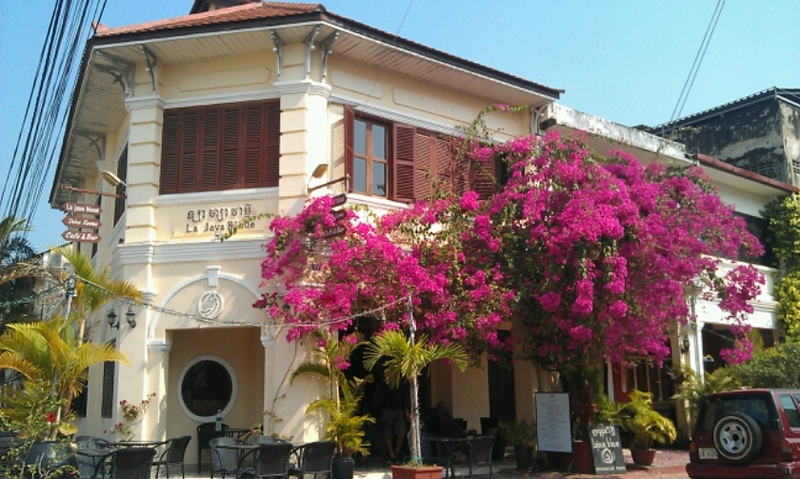 Kampot, is only 30 mins drive from Kep ($3 pp via minibus). 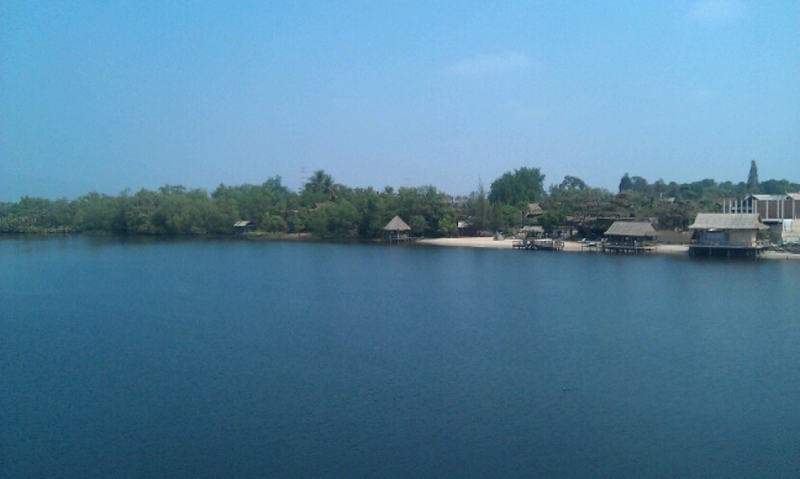 Therefore, it made sense to visit it on our way back to Phnom Penh. 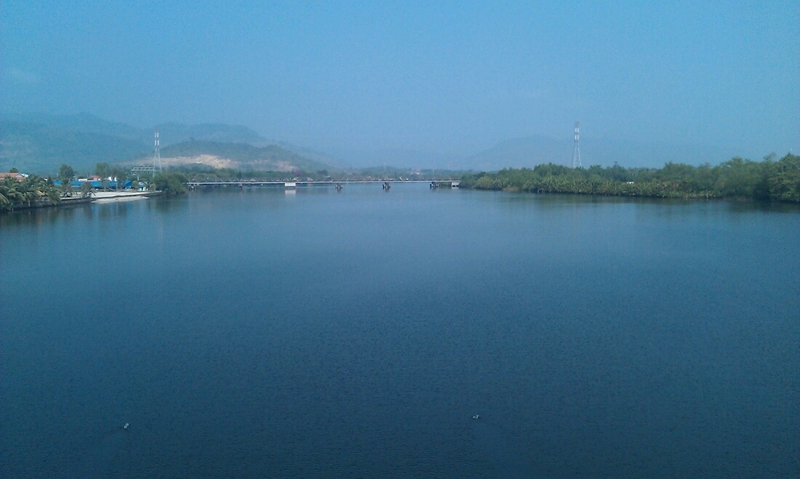 The ‘city’ is a quiet riverside town just a few kilometers from the Gulf of Thailand. 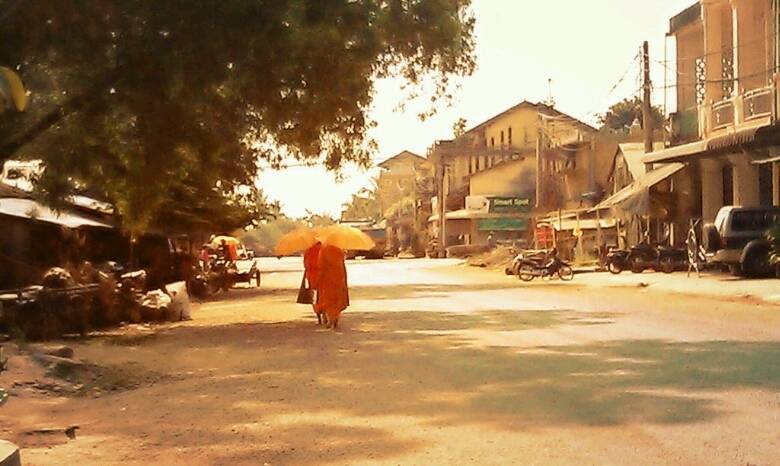 It is known as a ‘city’ as it is the capital of the Kampot region; but really it is only a small town. 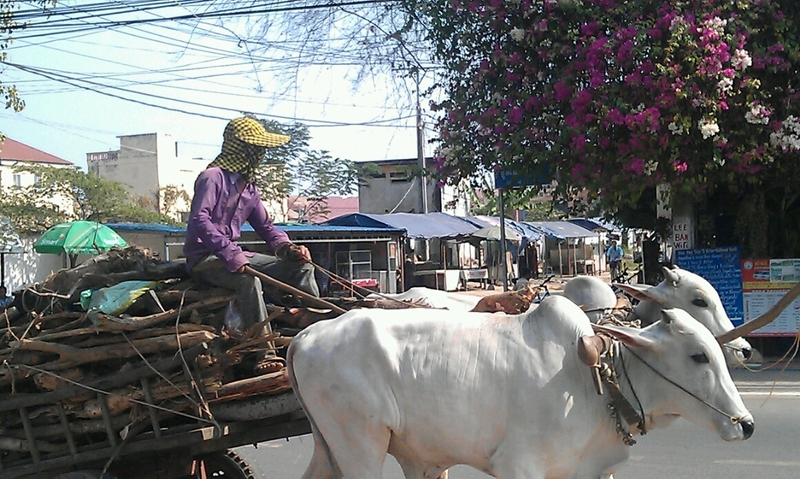 Traffic in fairly light & roads easy to cross compared to cities such as Phnom Penh & Siem Reap. 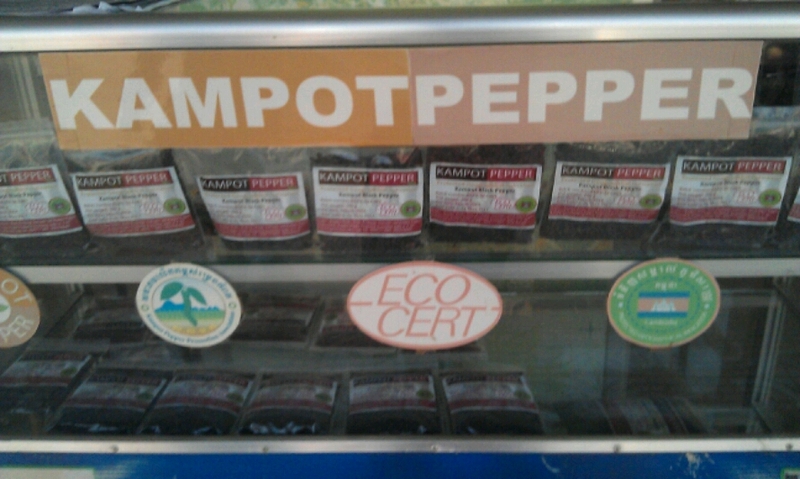 Kampot is well known for its famous black pepper. 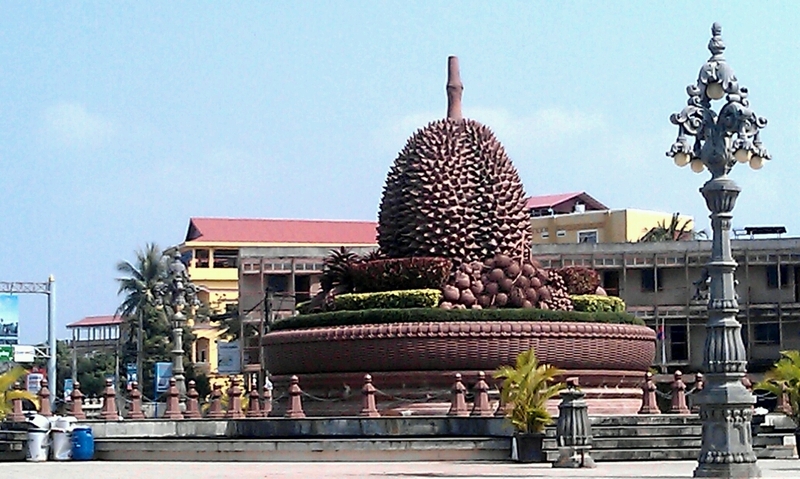 The town is also famous for its Kampot fish sauce and the durian fruit. Surprisingly there are 4-5 British owned restaurants / bars here. We were also surprised by the number of Brits visiting here (apparently there is also a large expat community). However, a variety of European food options was actually welcome after 9 weeks of Asian food. Although I drew the line at ‘Full English Breakfast’ & ‘Fish & Chips’; ‘Cheese/beans on Toast’ & ‘Ploughmans with Branston’ were tempting! 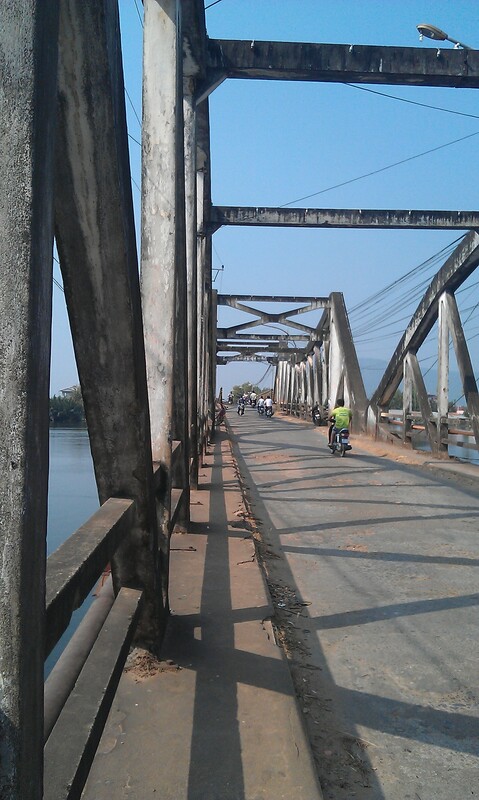 The Prek Kampot river runs through the town and there are two bridges ‘Old’ & ‘New’. The Old Bridge, is still in regular service for traffic although it probably shouldn’t be as its structural integrity is questionable. 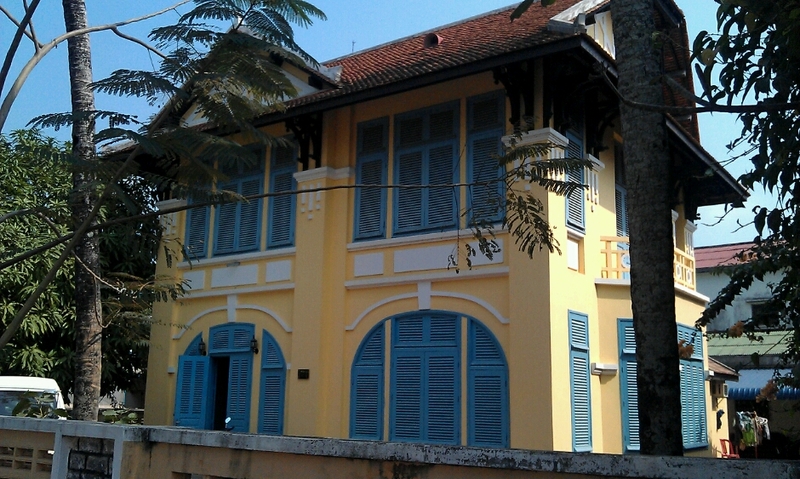 It was destroyed in the Khmer Rouge period & repaired in a mishmash of ways. We walked across & could see huge rusting holes through to the river below. 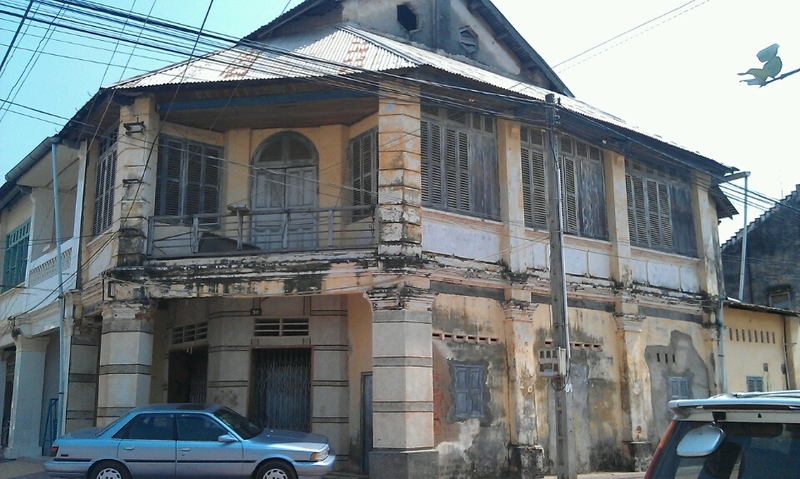 Both derelict & restored Colonial houses line the river & throughout the city. For watersports enthusiasts, there are lots of things to do on the river: kayaking, SUPs, tubing, SUP yoga (!) & of course swimming. In town there are a host of bars, restaurants & cafes where you can just sit & watch daily life go by. 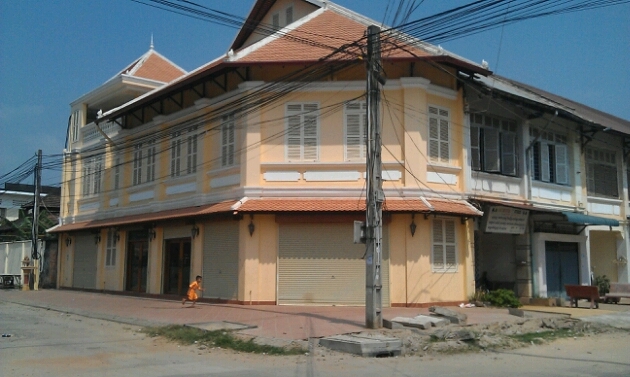 There are numerous places to stay in Kampot from hostels (from $5) to smart hotels (at $110). We stayed at the Ny Ny Hotel at $22 a night.